Apple filed the initial patents, back in 2011 and has been working on the concept ever since. Competitors, including Samsung, have been working on their own versions. Instead of being a removable SIM card, the eSIM would be an embedded chip within a mobile device, not unlike the chip inside credit and debit cards. Rumours are this industry standard SIM is getting closer to reality, now Apple and Samsung have partnered with GSMA, the industry association that represents mobile networks worldwide. There is also talk that various networks are also in discussions with Apple and Samsung, to further facilitate the launch of eSIM’s. Some mobile operators are likely to be upset with these moves since this could be a game changer for the industry. In theory, customers could switch operators without needing to buy a new device, shifting the balance of power slightly further away from network providers. In the long-term, eSIM manufacturers are aiming to create an industry standard SIM, making mobile use more convenient, cheaper and secure. Some are estimating Apple, since it was the first to file a patent, to launch new iPhones with eSIM’s, perhaps as soon as 2016. One research firm, Smart Insights, estimates that adoption is imminent, with a prediction that 346 to 864 million eSIM devices will be shipped before 2020. Firstly, customers won’t need to pick up local SIMs whenever they travel. The SIM will detect the phone is in another country, therefore switching networks automatically. However, means you will need a new phone number. Here is where AVO would be useful, giving customers a number they can use while abroad without calls costing high roaming costs. 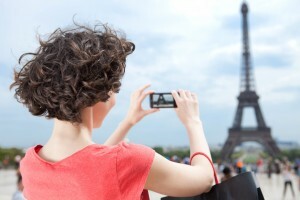 Every year, over 600 million mobile subscribers incur $70 billion worth of roaming charges. Wherever you have Wi-Fi whilst abroad, you can make and receive calls using AVO; no need for an extra SIM or second phone. No need to worry about roaming charges. The eSIM will make things easier too since it might be possible to program your phone to automatically switch to AVO whenever you are in a Wi-Fi area, and then you can easily make calls to and from home, wherever you are in the world.